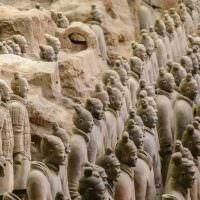 The next stop on our trip through China was the ancient, capital city of Beijing. It’s not exactly a budget backpacking ideal destination but this heavily populated city of 15.6 million people was somewhere we had been looking forward to seeing for a very long time. We arrived in the morning after having a glorious sleep on the ‘soft sleeper’ class train. Most budget backpackers probably opt for the hard sleeper (as we have done in the past). But this time we had no choice and had to book the luxurious soft sleeper. 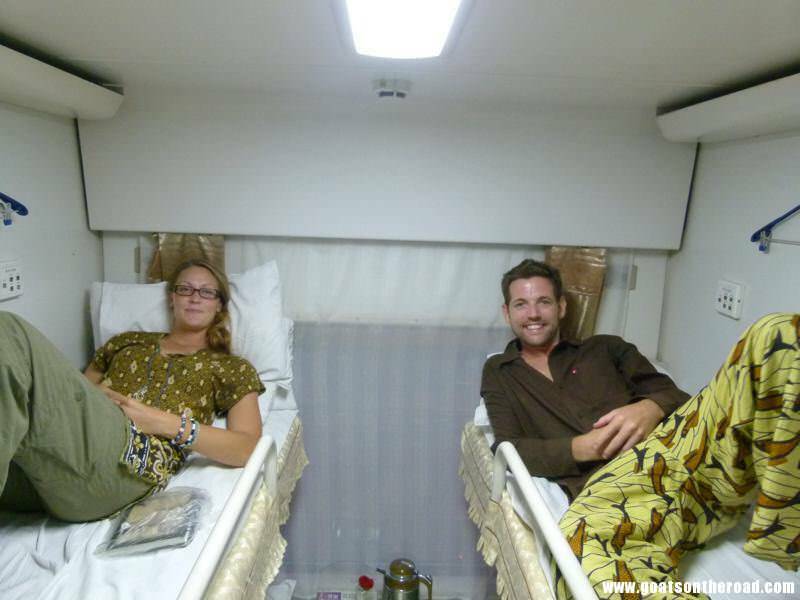 There were 2 beds on either bunk, as opposed to 3 on the hard sleeper, and each compartment had a door. Unfortunately the sneaky cigarette smoke still found a way to waft into our cabin, but it was much better than the hard sleepers. Goats On The Road super excited to be in a soft sleeper compartment! We arrived at the massive train station and realized that we had forgotten to contact the hostel to find out which bus to take into the city. We had no minutes left on our cell phone and found ourselves wandering around this bustling station aimlessly trying to find someone who speaks English-which never happened. Eventually we were able to use a phone and contact the hostel. We navigated the bus system to the metro line and when we arrived the amount of people waiting for a train was unbelievable. We had managed to arrive during rush hour and people were everywhere trying desperately to fit onto the train. Of course we had our backpacks on so we had little to no chance of fighting our way in. The security guards were literally pushing people with both hands trying to stuff them into the cart! It was hilarious. We eventually got on the train and walked to our hostel, where we were greeted with friendly faces and another funky hostel setting. 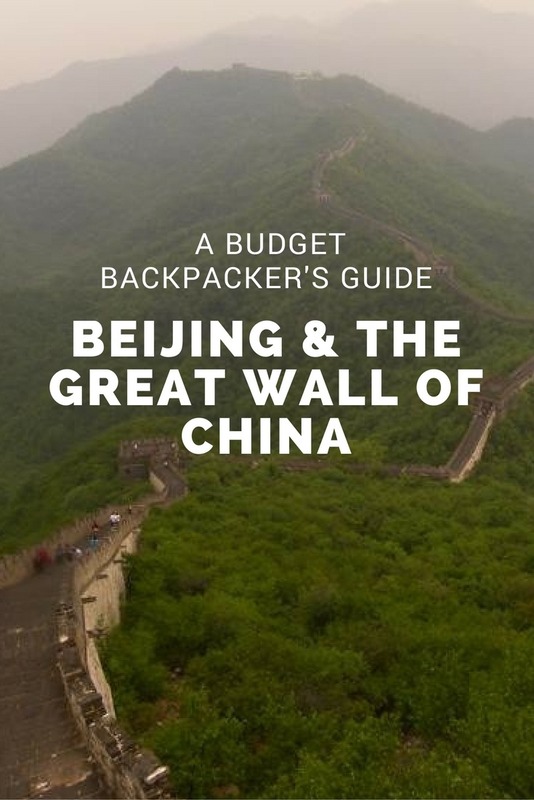 China is a great destination for budget backpackers and although the hostels are slightly more than ones in say, Southeast Asia, they are always a great value for money. 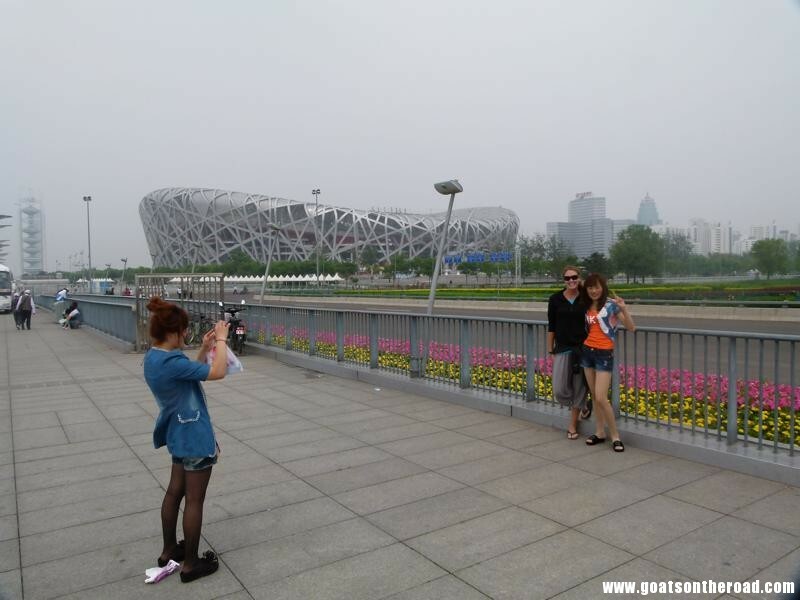 Beijing is a fantastic sprawling city, full of ancient architecture and attitudes, yet also showcases its up and coming modern side. 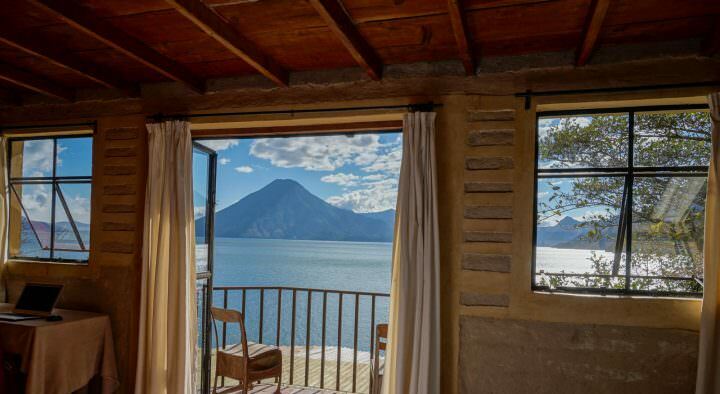 We decided to spend 5 days there in order to see just a fraction of what this place has to offer. 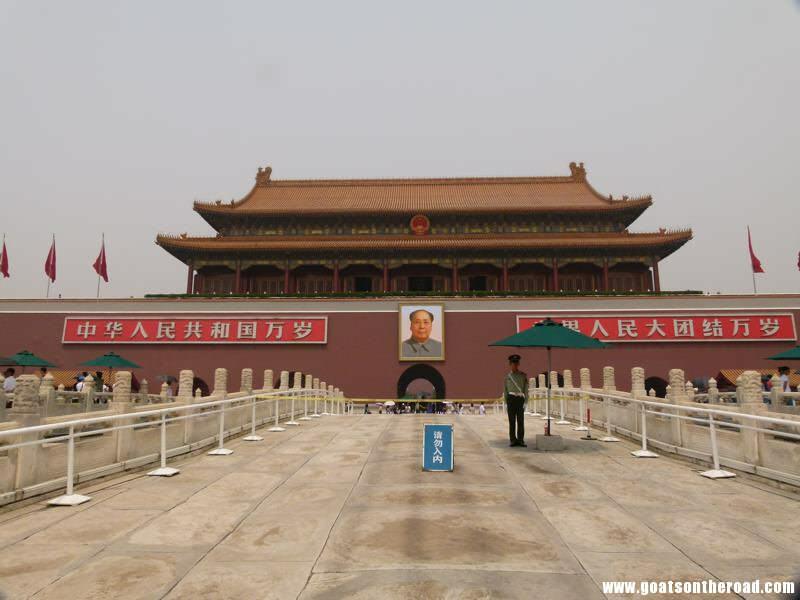 On our first day we made our way to the infamous Tiananmen Square and nearby Forbidden City. There’s so much to see that we could’ve spent all day there, but the heat was getting to us so we explored for only a few hours. 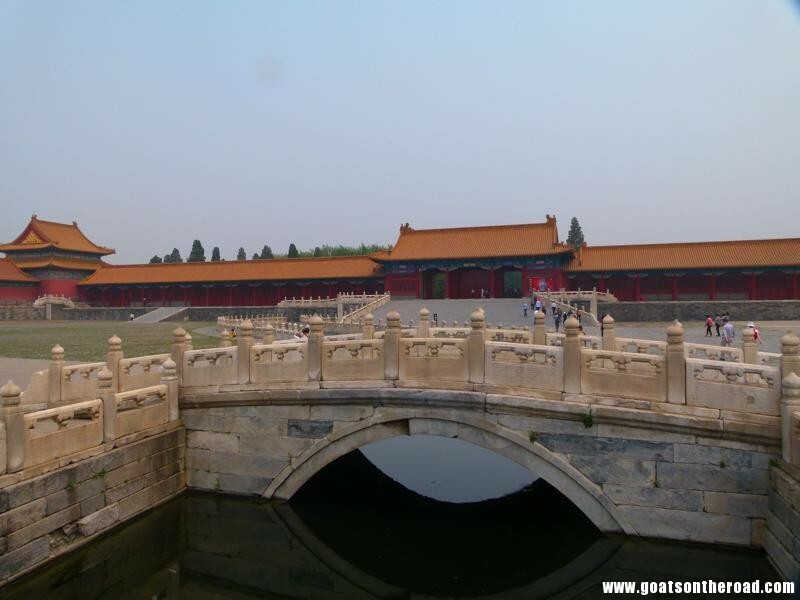 The Forbidden City is the largest and best preserved complex of ancient buildings in China. 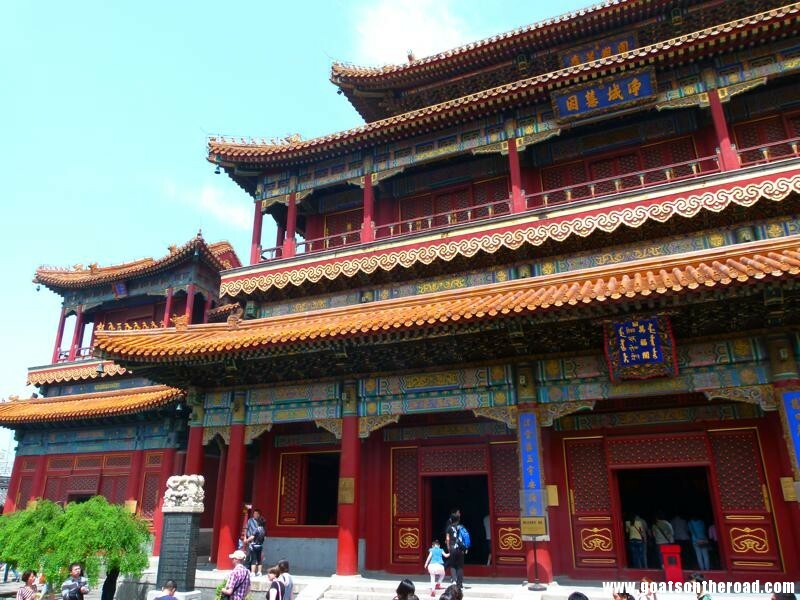 This massive palace was the home of imperial rule during the Qing dynasties. 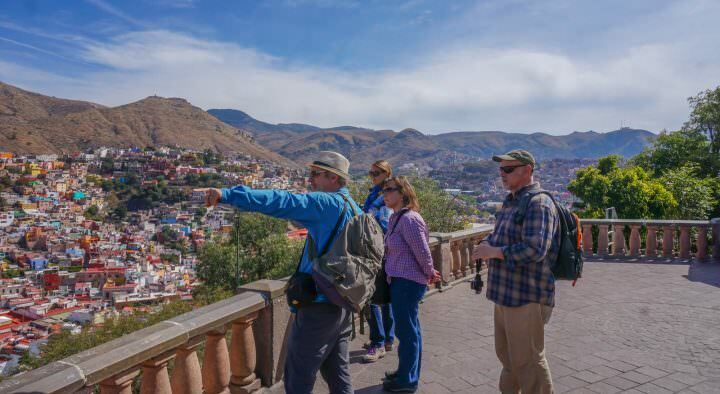 We wandered around seeing so many sights that we can’t list them all. 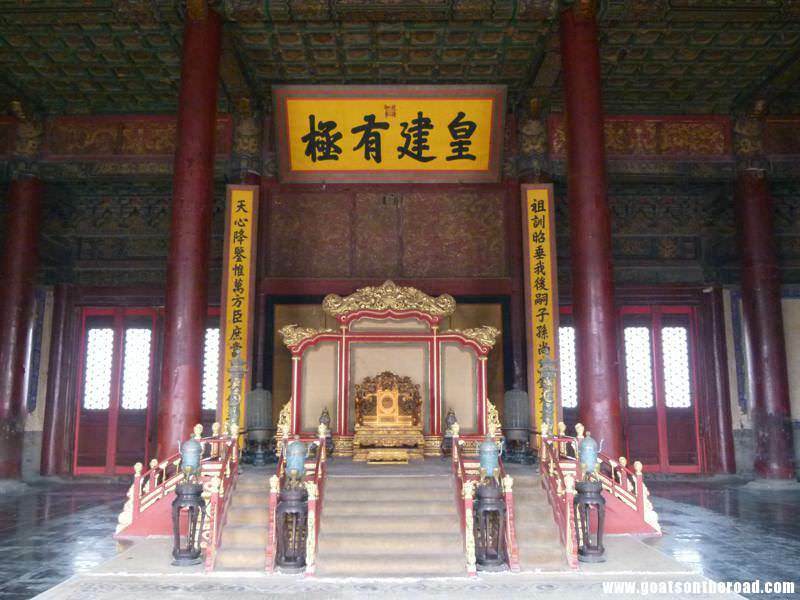 Some of the highlights were the Dragon Throne where the emperor would preside over officials, the Great Halls which were the most important part of the Forbidden City and were used for ceremonies, the 7000sq. meter Imperial Garden and the Hall of Preserving Harmony which was used for banquets and imperial examinations. 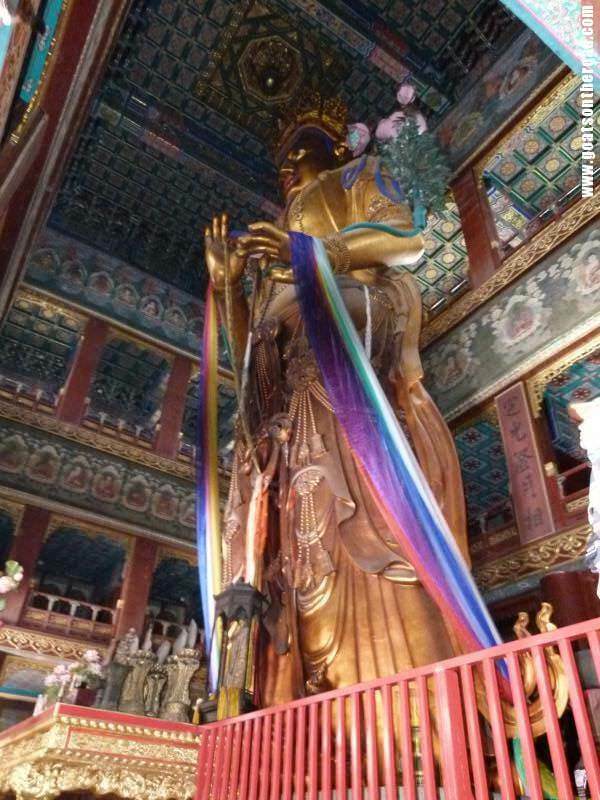 Next on our Beijing tour for the day we decided to make our way to the beautiful Lama Temple. 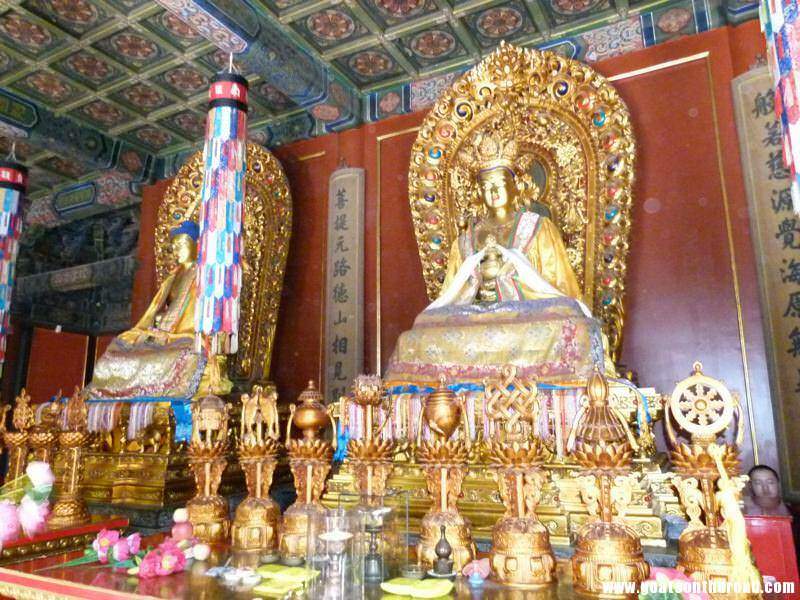 This is the most acclaimed Tibetan Buddhist temple outside of Tibet itself. The temple is a place of worship for the local people and pilgrims come from far away to submit themselves here. The place was spectacular! We’ve seen many Buddhist temples but this was one of our favourites. The fabulous frescoes, stunning arches, decorative carpentry, colourful prayer flags and 18 meter high Buddha statue were all superb. The Tibetan culture is one of my favourites. Being here reminded me of the people we had met and the villages we had been to during our trekking through the Himalayas in Nepal. Since we were in China, there was no doubt in our minds that we had to see our 4th Wonder Of The World, The Great Wall Of China! This is an engineering feat of epic proportions. The wall started being built over 2000 years ago during the Qin dynasty (the same dynasty that built the spectacular Terracotta Warriors). 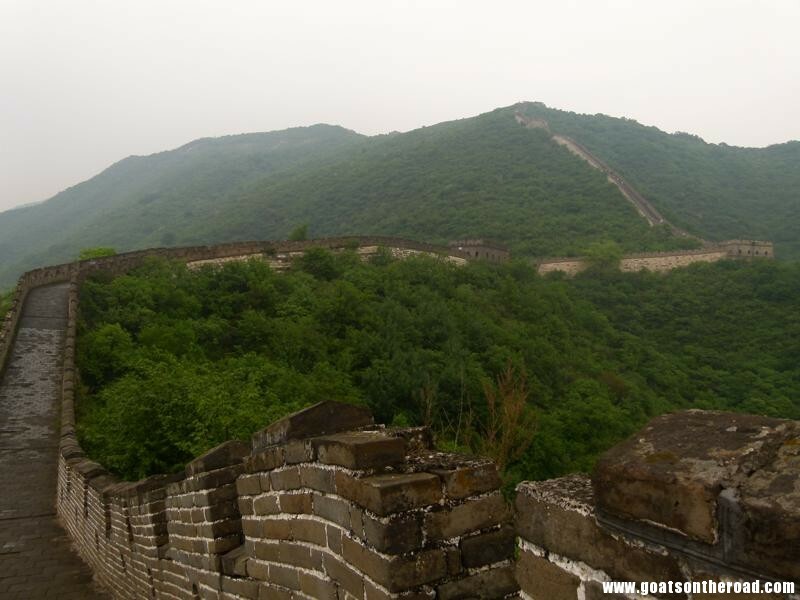 Individual walls were built separately by different kingdoms all over China to keep out enemies and eventually were linked together. Building the wall took hundreds of thousands of workers and many perished during this effort; people even say that the bones of the deceased workers were used to build the wall! Eventually, however, the “impenetrable” wall failed and the Mongols invaded China. As time went on, the wall became pointless in keeping out enemies as there were new inventions, i.e: the airplane. 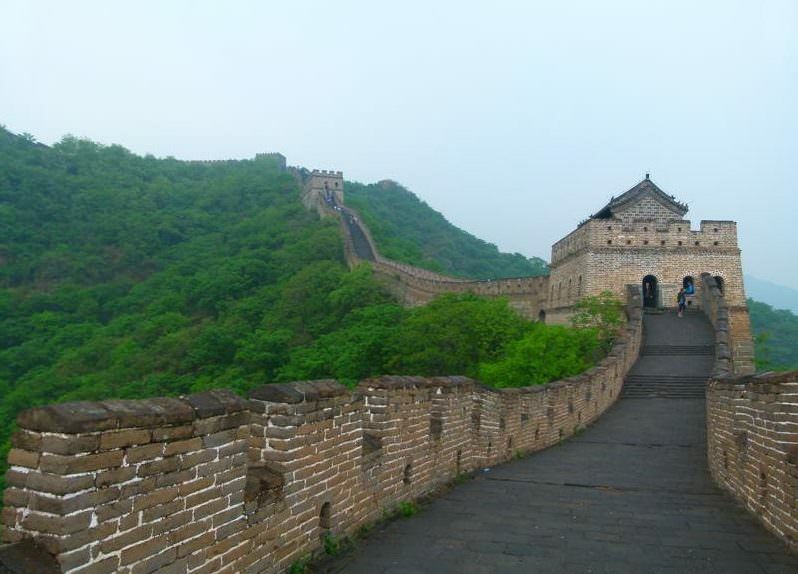 There’s so many different parts of the wall that you can visit but we decided to see the less restored and less visited area of Mutianya, which area is famous for its 26 Ming dynasty guard towers and great views…or at least on a nice day there would be! Again, we decided to see one of the famous sights of China and again, we had rain. It wasn’t nearly as bad as our trip to the Dragon’s Backbone Rice Terraces, but there was a low-lying cloud and a light drizzle. Even so, that didn’t kill our high spirits. 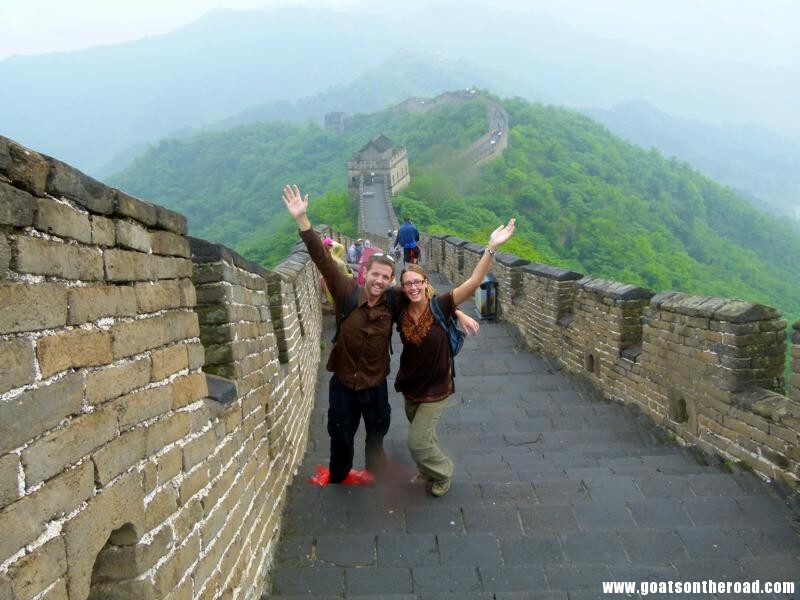 We were at the Great Wall and were beyond thrilled to be there. I wasn’t expecting for it to be such a hike up to the wall though. We trekked up rock-cut steps for about 45 minutes before reaching the top. Once up there, we walked up steep inclines, then back down, then back up, it was a great workout. Once we reached the end of the Mutianya portion of the Wall, there was a sign that read “no tourists beyond this point”, but we’re not tourists, we’re backpackers! So we decided to keep on walking and are so glad we did. This was the bit of the wall that was in it’s somewhat original state, not overly restored, but not crumbling either. 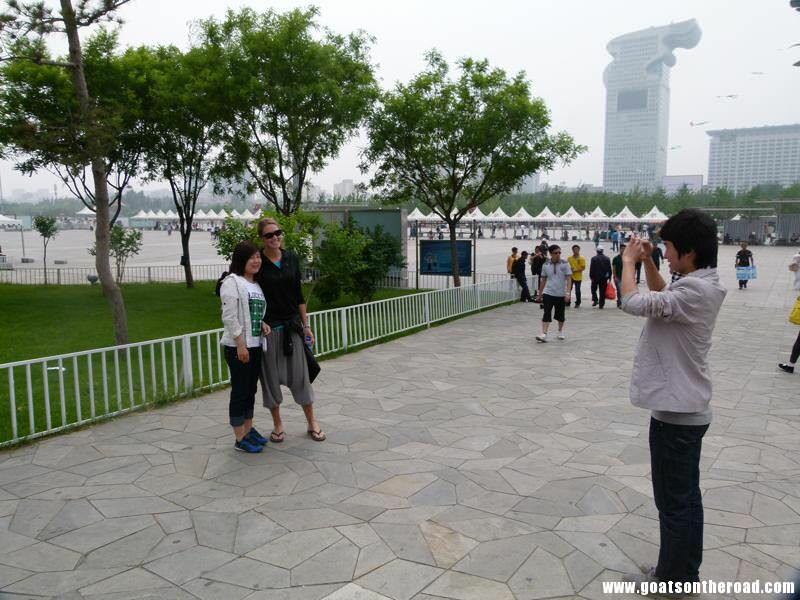 The best part was there were no other tourists there, just us. We walked for about ½ hour more in the “no-go” zone and enjoyed every minute of it. The clouds even started to part a bit and the rain completely let up. We headed home after a great day and enjoyed some chats with other travellers over a BBQ dinner put on by the hostel. 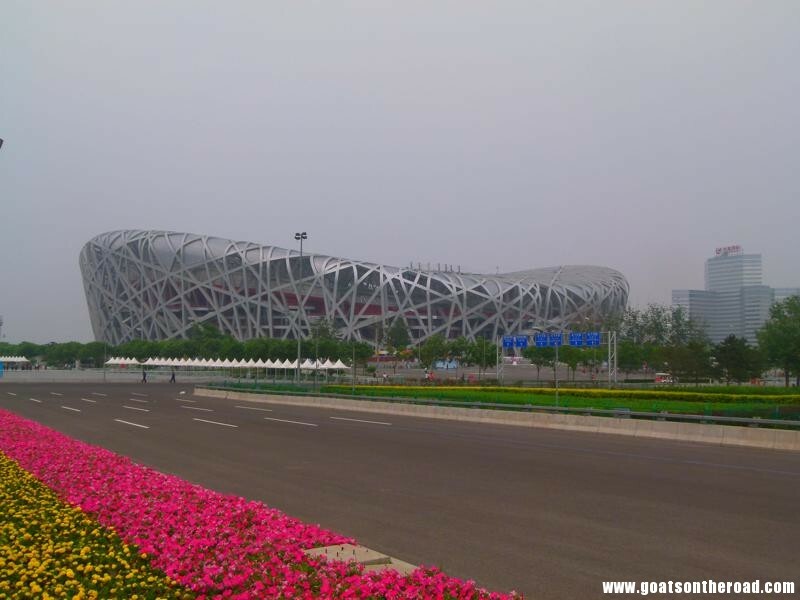 There were a couple more things we wanted to see in Beijing before moving on; one being the National Stadium, or Bird’s Nest. The building is massive. 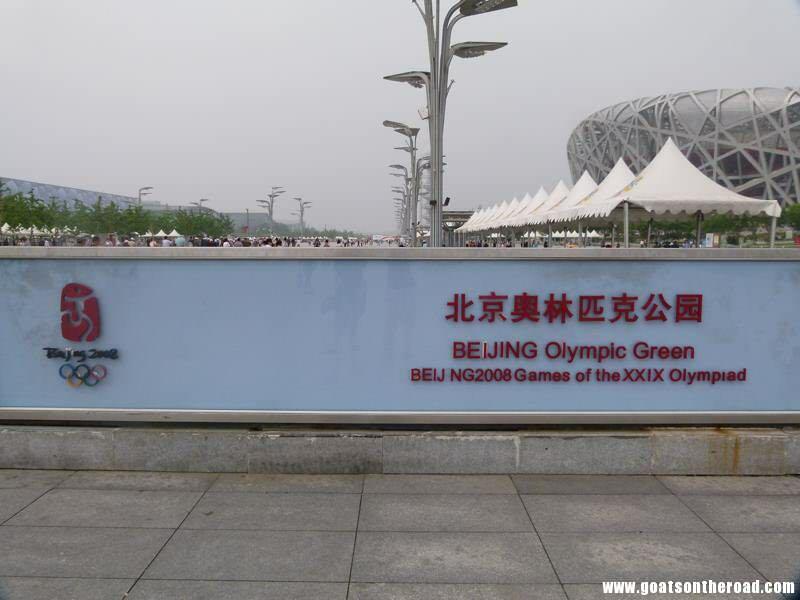 Unfortunately, all the money that was put into it for the 2008 olympics seems to have gone to waste. There’s nothing going on at the moment but apparently it will become a shopping mall or an entertainment complex. 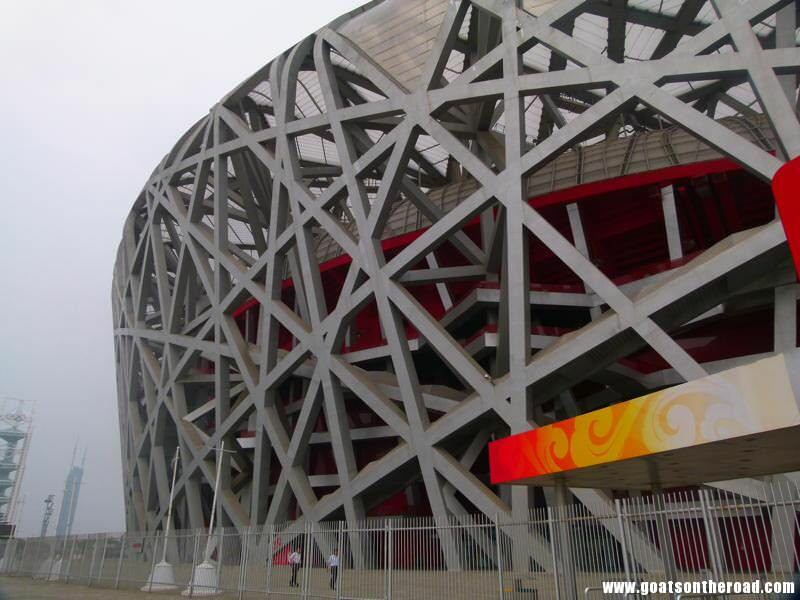 Even though we were there to see this huge steel sight (over 42,000 tons of steel were used in the making of the Bird’s Nest! ), I was the star attraction. As would happen throughout our journey through China, many women would come running up to me saying something in Mandarin and waving their camera around. I’ve had so many photo shoots, I should start charging people for my services. 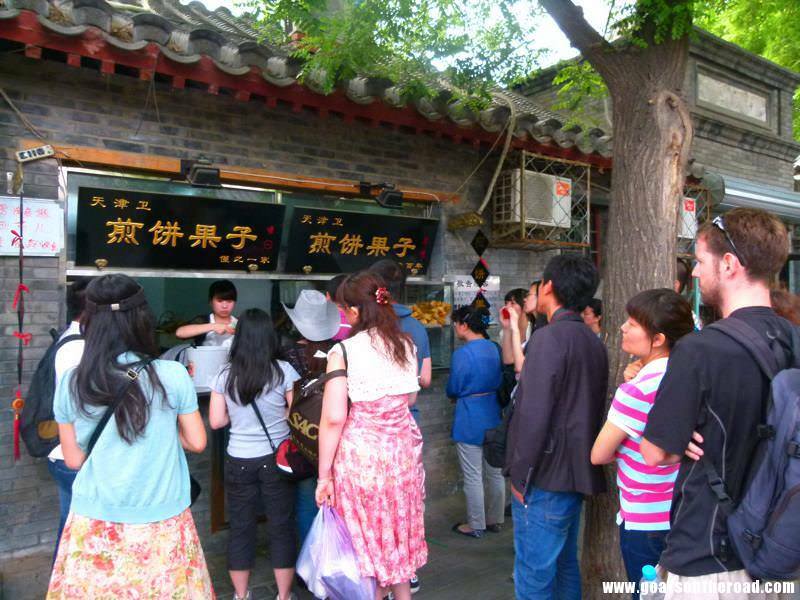 Apart from roaming the streets, we had one more area of the city we really wanted to see, Nanluogu Xiang. This funky area is known for its delicious foods, cheap booze and old style architecture. 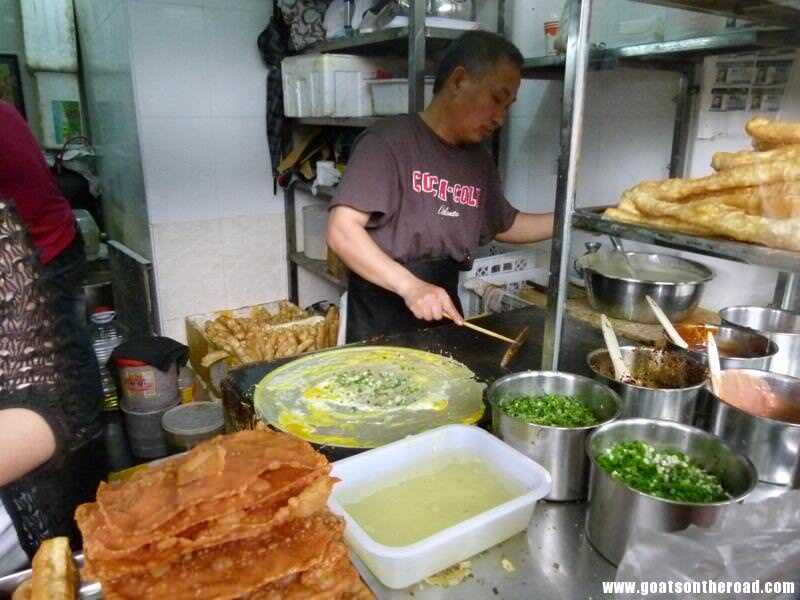 We ate skewers of meat, and one interesting dish – a fried crepe with egg, herbs and some sort of fried bread all rolled up together. It was a perfect way to end our 5 days in Beijing. 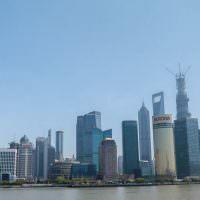 We enjoyed our time in this ancient city and were off the following morning to see yet another overly populated city, Shanghai! 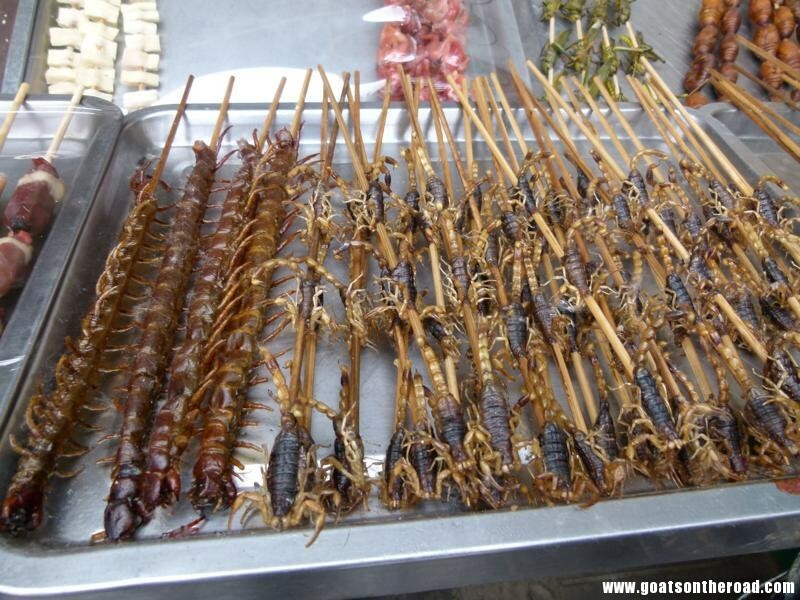 BBQ’s and Picnics: A Foreign Concept in China? There are many sections of the Great Wall, BTW. 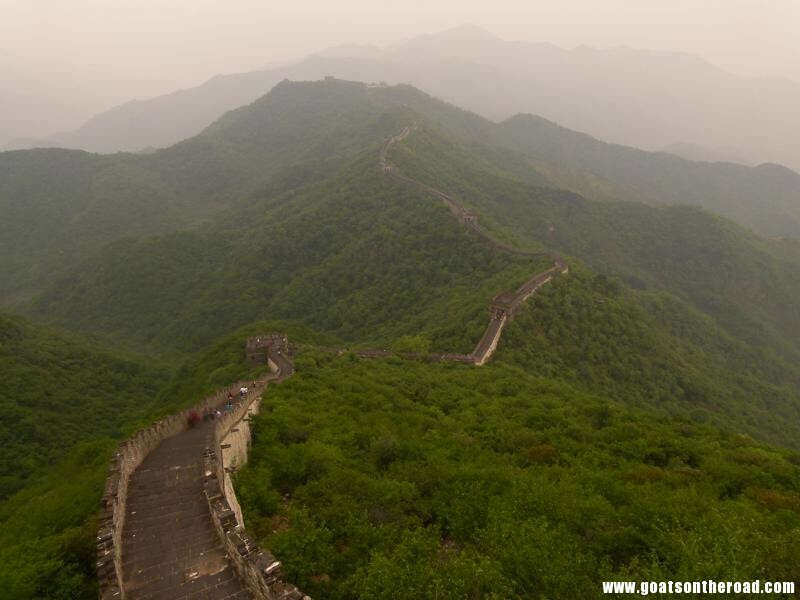 One alternative is Huangya Pass, near Tianjin. 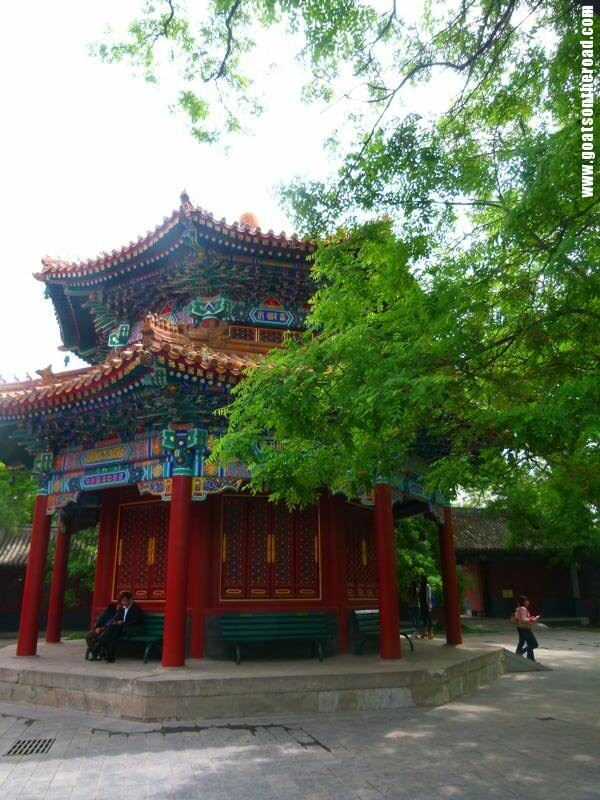 It is not very close to Beijing but is suitable for people that are looking for more relaxed and less crowded places. 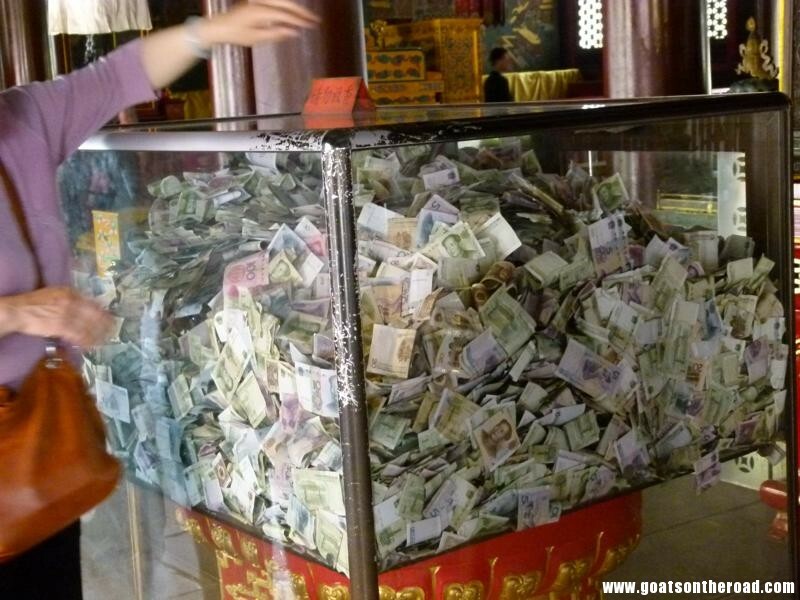 My partner and I have booked the first leg of our travels for early next year and are starting in Beijing. We will be flying in from the UK towards the end of January, spending a few days in Beijing and then making our way down to Hong Kong to celebrate Chinese New Year. 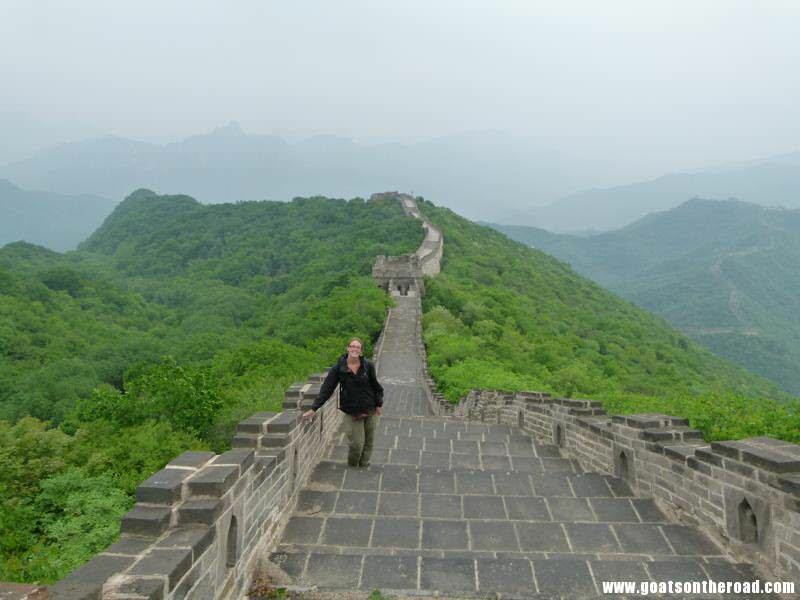 We are desperate to see the Great Wall whilst in Beijing, so would you happen to know what the weather would be like in late January? I am expecting it to be cold and perhaps rainy/snowy, but do you think there would be any issues (with travel etc)? 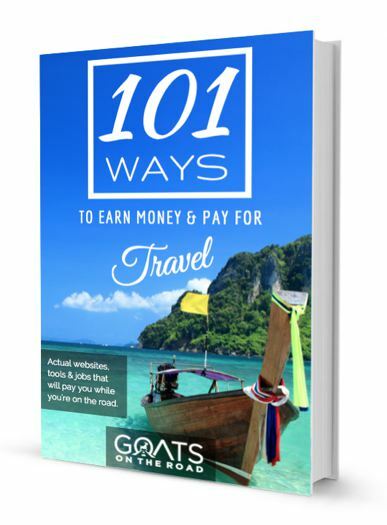 I have only just discovered this site but have already read a lot of stuff and taken tips. Thank you. You can still visit the wall in January, but it will be snowing – it makes for a beautiful setting though. Just have warm clothing! 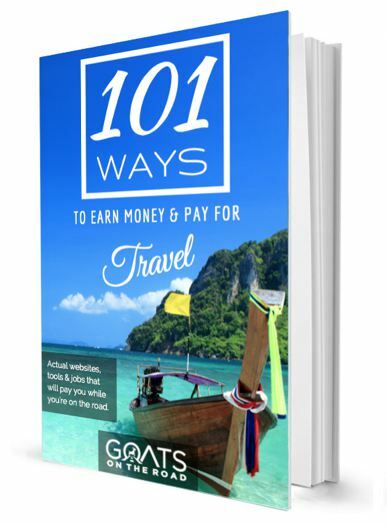 Hi goats, I am going to Beijing for the first time this March. I intend to see some of portion of the Great Wall and am curious if you guys booked a tour to visit Mutianya portion or if you made it there on your own. Could you please elaborate? 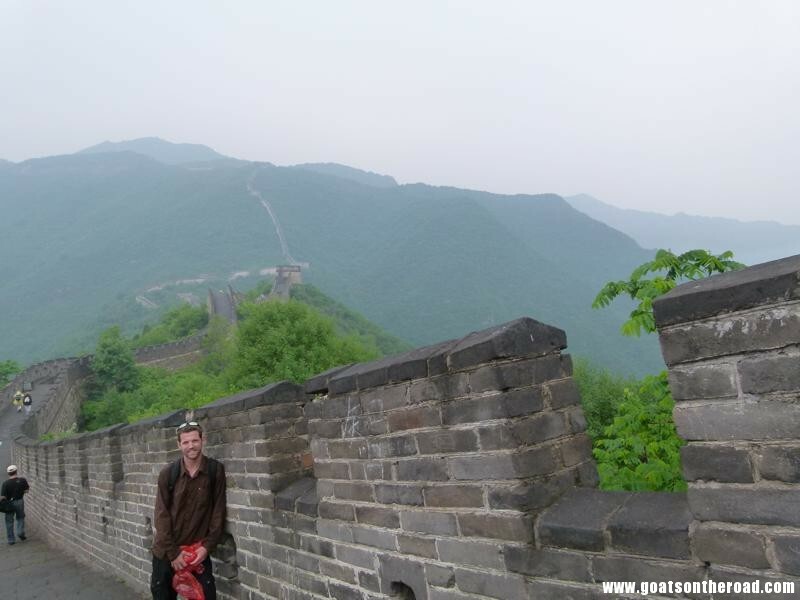 Right now, I’m thinking I’d like to do a combo 1 day visit of Great Wall and Summer Palace. Not sure which portion of wall is best to make this happen.